"They came in with marketing first, product second, and got everybody excited." 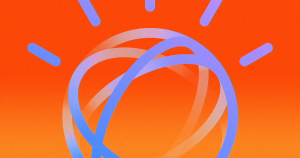 After utterly crushing it on “Jeopardy!” IBM wanted to shift focus with its artificial intelligence division, Watson. The much-hyped premise was that Watson would revolutionize healthcare, as a computer could feasibly store and access a database of medical knowledge better than a human practitioner. But now, after eight years of waiting with little in the way of results, several doctors told IEEE Spectrum that they’re getting fed up — bad news for IBM, but also a potential inflection point for the AI field. In July, Watson made headlines for offering potentially dangerous medical advice based on hypothetical patient data — a failure that contrasted IBM’s lofty goals and claims that Watson would be able to pore through medical research to make the best diagnoses and recommend the best treatments for patients. “Reputationally, I think they’re in some trouble,” he added. Part of the problem stems from IBM’s impressive body of AI research not quite reaching the point of clinical relevance. Kohn said that he’s waiting to see IBM’s marketing division back their claims up with peer-reviewed scientific research that AI, whether or not its even Watson, benefits doctors. More on Watson: Your Future Doctor May Not be Human. This Is the Rise of AI in Medicine.